Estimating (anticipated and unexpected) dynamics is a key task in process monitoring and control, and process chemometrics plays a significant role in this engineering task. But where existing modeling strategies are primarily designed for pure batch or continues production systems, most operations in the food and biotech industry run in a semi-continuous mode, including (more or less) clear transitions. In this paper both implicit and explicit use of the process characteristics will be evaluated combining “soft” model-builder and “hard” engineering ideas. 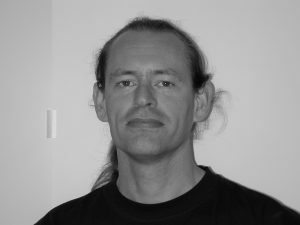 Frans van den Berg is associate professor in the Chemometrics & Analytical Technology section at the Department of Food Science, University of Copenhagen, Denmark (KU.FOOD.CAT). He is educated as a lab technician, followed by a civil engineering degree in Laboratory Information and Automation, an MSc in Analytical Chemistry and a PhD in Process Analytics and Chemometrics, and is presently trying to combine all these disciplines into one area: Process Analytical Chemistry and Technology (PACT). His main interests are in process spectroscopy and data analysis, specifically the application of chemometrics, statistics and mathematics in (process) data collection, integration, control and optimization.